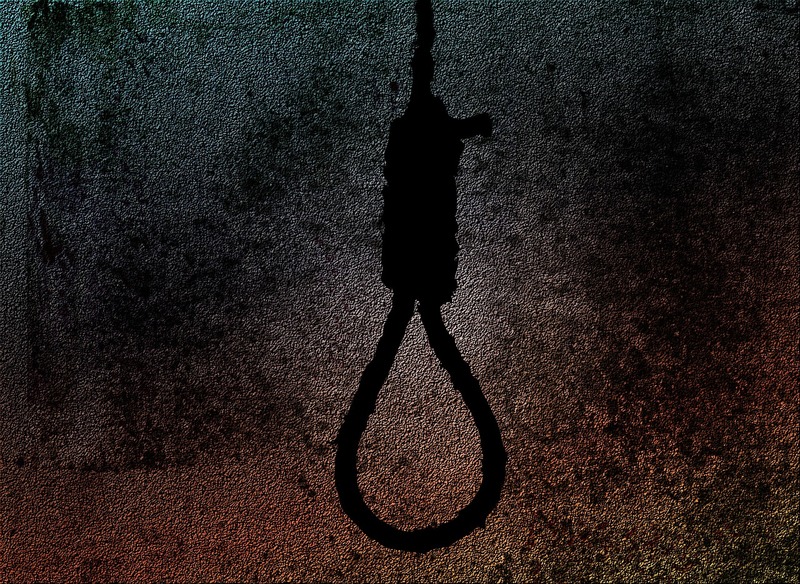 Home / Blog / Samples / Essay on Death Penalty: Is Death Penalty a Relic of the Past? Essay on Death Penalty: Is Death Penalty a Relic of the Past? Among the many problems discussed in our society is the question about the death penalty. Does it violate human rights? Is it a deterrent to crime? Do we need to use it in the modern period of society development or abandon it? This topic is a hot subject that has been discussed not only among politicians, but also at schools and universities. If you were given an assignment to write a death penalty argumentative essay, check this sample to get more information and insight about the topic. The Death Penalty: A Relic of the Past or an Essential Part of Society? The number of countries that refuse the death penalty is growing. To date, 102 states have completely abandoned the death penalty at the legislative level. Twenty-five countries still use this type of punishment for the past year. There are also countries that have not officially banned the death penalty, but in practice it is used extremely rarely. At the same time, 2016 became the record year for the number of death sentences. According to the International non-governmental organization Amnesty International, 1634 people were executed last year. But this data is approximate, since the real number of executions in the world is much higher and measured in tens of thousands. The reason is that many states do not publish statistics. They hide the number of death sentences as a state secret. This is done, for example, in China, where a mini-penalty for 46 violations provides the death penalty. a) There exists a possibility of judicial error. Professionals that “lead criminal cases, the evidence of a convict’s guilt, and the fair court always have a possibility of error. While the judicial decision is not put into effect, the convict still has hope and an opportunity to gather the necessary evidence about innocence and convince the judge and jury in it. After the execution, neither evidence nor rehabilitation will be able to return the executed person to life. b) The death penalty is not a deterrent. “According to the researches of the question, a person who committed a crime expects to avoid punishment, whatever it may be. So, there is no difference whether it will be life imprisonment or the death penalty. In addition, criminals who know that the death penalty is waiting for them often commit new crimes, because they know that there will be no more terrible punishment – there is nothing to lose. So, for example, the death penalty does not matter for a terrorist, since this person is always risking his or her own life. c) Execution gives rise to cruelty in society. In the past, crowds of people used to gather in the squares to look at the hanging, burning, or decapitation of criminals. However, in more ancient times, the executions were even more cruel and sophisticated – watering with boiling resin or impaling, on a spike. Nevertheless, the methods did not scare the spectators; on the contrary, people wanted more and more bloody scenes. In an atmosphere of cruelty and dispassion, new crimes were committed with enviable regularity. But that was then, and one could say that society has changed and ennobled. However, the opposite is true: the 2006 UN report showed that in countries where the death penalty is allowed, crimes that “deserve” this kind of punishment happen more often. d) The presence of executioners has a negative effect. The existence of executors who carry out death sentences dehumanizes society: this measure of punishment provides a constant community of perpetrators. In countries where the death penalty is permitted, the executioners are, in fact, legal killers. The difference between them and those who are sentenced to death is in the fact that murder is for the benefit of their state. At the same time, this state claims that murdering a person is criminally punishable. It turns out that in this way the state justifies murder in the public consciousness and undermines the fundamental principle of public morality, as the complete inviolability of human life. One contradicts the other and a vicious circle turns out. 5) Execution does not eliminate the reason for the commission of a crime. The main factors provoking criminality are poverty, lack of education, inequality, and mental deviations of a particular criminal. The death penalty cannot influence these reasons in any way. e) Execution does not allow correction. A serial killer, who is particularly cruel in his crimes, may not deserve to be justified in the eyes of the people and relatives of his victims, but absolutely has no chance to think about his behavior and bring good to society – he has no time for it. Moreover, the expectation of death often does not motivate, but demotivates the condemned to reflections: still nothing to change. The same UN report states that life imprisonment and isolation from society frightens criminals much more than the death penalty. f) Execution does not punish. One of the most conclusive arguments in support for moving away from the death penalty is the fact that it does not punish. Punishment is a measure of state coercion applied against a person convicted of a crime and consisting in a certain narrowing of the person’s legal status, giving special rights and duties. Execution involves the deprivation of the convict’s right to life. The most common argument in favor of the death penalty is the assertion that it is a deterrent to crime: a criminal must be killed in order to deter others from committing such crime. At first glance, the argument seems convincing. Ultimate opportunities for efficiency are characteristic not only for the death penalty, but also for other types of punishment, which is not always taken into account. a) Death penalty is protection of society from the most dangerous criminals. The death penalty from this point of view is an ideal method of protecting society from dangerous social elements. Even with life imprisonment, a criminal can simply escape from prison, or continue to kill in prison. The death penalty once and for all relieves society from these people. b) Th death penalty saves public funds for the maintenance of prisoners. In most countries this argument is one of the most dominant regarding the death penalty. When the offender receives life imprisonment, the government and taxpayers (and in particular, relatives of victims) should provide maintenance during the entire life of the offender. c) The death penalty is a powerful deterrent for the criminals. The irreversibility of the death penalty can be a good deterrent for many types of crimes. For example China applies the death penalty not only for brutal murders, but also for bribery or for drug dealing. Therefore, the percentage of such crimes is extremely low. No one wants to lose their lives just for the sake of earning an extra thousand dollars. d) Death penalty is more humane way than the life imprisonment. In fact, life imprisonment without the right to amnesty is also a “death sentence,” but only prolonged in time. The most dangerous criminals or those for whom there is a threat to their life in prison, for example, rapists and pedophiles, are kept in solitary confinement cells. All their lives they will spend in a concrete cage, leaving five days a week to breathe fresh air. Of all activities they are allowed only to write and read. In this case, rapid death is a more humane punishment. Bedau, Hugo Adam. “Bentham’s Utilitarian Critique of the Death Penalty.” The Journal of Criminal Law and Criminology, vol. 74, no.3, 1983, p. 65. Sato, Mai. “Public Attitudes towards the Death Penalty.” The Death Penalty in Japan, 2013 pp. 37-62. Yost, Benjamin S. “The Irrevocability of Capital Punishment.” Journal of Social Philosophy, vol. 42, no.3, 2011, pp.321-340. N.B. The death penalty essay that you can read above is a sample of a good argumentative essay. The author is one of our professional writers who wished to discuss the topic of the death penalty. Please, consider the fact that copying the text of this essay on death penalty may be considered as plagiarism. Just read our samples and use the authors’ thoughts, information, or point of view and create your own unique essay. If you cannot write an essay on your own, ask our writers to help you! They are able to create a unique and thought-out death penalty argumentative essay or cover any other topic, as we have gathered a wide range of professionals. All you need to do is place the order on our page with full description of your assignment and you will receive a finished essay by the due date. Don’t wait and make an order right now!